You're not even reading this, are you? You've already scrolled down to look at the sweet, sweet promo cards below. Two of them—the first two—are even cards you haven't seen previewed before! True story! So why waste time. 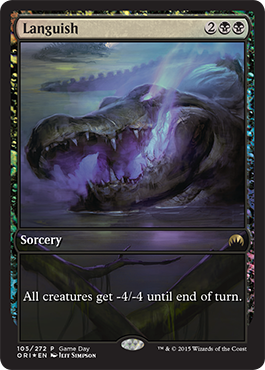 Check out the promo cards available with Magic Origins. 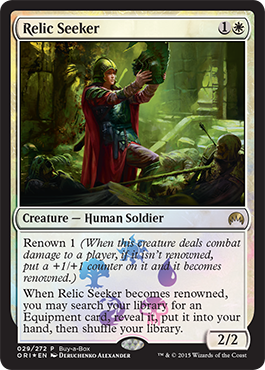 The aptly named Relic Seeker is the Magic Origins Buy-a-Box promo. Stores will be able to provide a small number of this promo, and the distribution is up to stores, so if you seek relics, ask your local store how you can get your hands on this Equipment-searching two-drop. 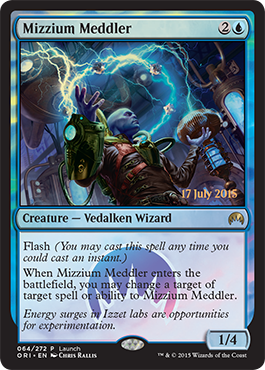 If you play in any Launch Event July 17–29—including Friday Night Magic, and on top of any other promos you might receive—you just might be able to meddle with your opponents' carefully laid plans with this promo Mizzium Meddler. The weekend of August 8–9, 2015, stores all around the world will be holding Magic Origins Game Day. 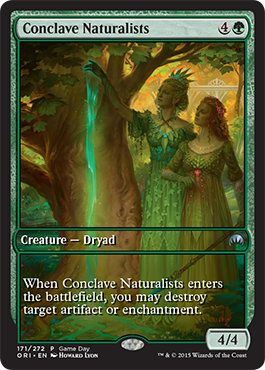 Just for participating, you can receive this full art Conclave Naturalists. 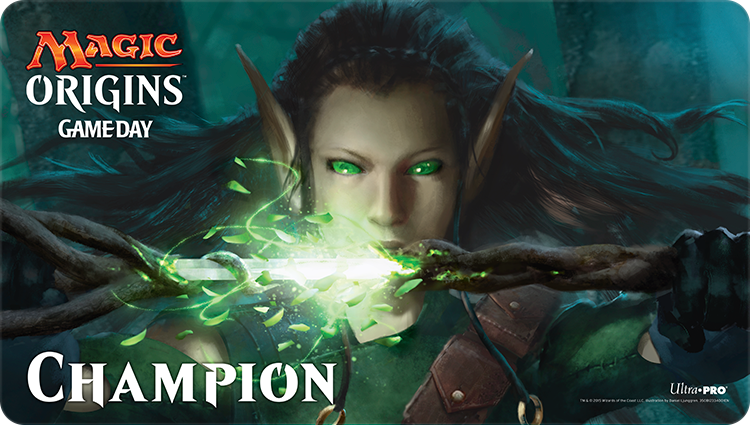 Additionally, the winner of Magic Origins Game Day at each store will receive an exclusive playmat.